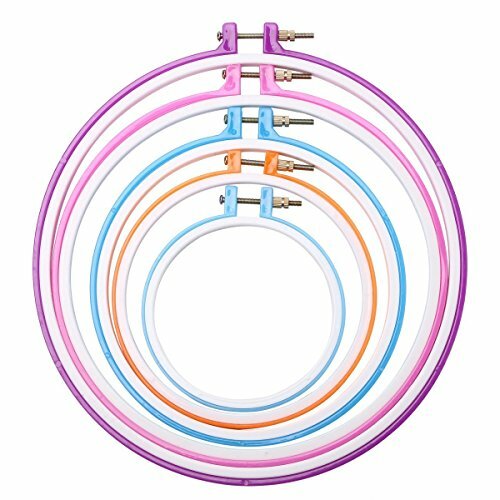 Caydo embroidery hoops are made from optimum quality and the durable plastic. The complete set contains the embroidery hoops in different sizes, such as 11-inch, 9.6-inch, 7.6-inch, 6.3-inch, and 5-inch. They come in vivid colors. The brass adjustment screw allows you to tighten the fabric between hoops. Hit order now for buying Amazon imported product in Pakistan.